Two opposite temptations gripped me after my first visit to MacLeod Island (also known as Khayin Khwa Island): jealously keep the secret of its existence, or share it with readers? After a second visit eight months later and several days of intense thought, I decided to pursue the second. Among the new tourist destinations revealed since Myanmar’s recent political opening after decades of military rule, MacLeod Island is a diamond in the rough among 800 uninhabited islands belonging to the remote and unspoiled Myeik Archipelago in the Andaman Sea, in Myanmar’s most southern region. Without being emphatic, it is a dazzling and sumptuous surprise. Closed until recently (including to Myanmar people), the labyrinth archipelago leading to it remains tightly controlled by a large military naval base and a very strict regional immigration office. Indeed, the Myeik Archipelago is strategically situated at the crossroads intersection between Myanmar, India (Andaman Islands), Indonesia (Sumatra) and Thailand. The relative difficulty of reaching McLeod Island, though an inconvenience for some tourists (too bad for them), has helped preserve its stunning natural beauty. Flying southwards over tens of kilometers of virgin white-sand beaches from Yangon to Kawthaung (with two stops in Dawei and Myeik) in Tanintharyi Region confirms, if any doubt was still possible, Myanmar’s great tourism potential. The charmless port town of Kawthaung is the mainland gateway to McLeod Island. Signboards advising locals to “Warmly Welcome and Take Care of Tourists” were recently erected on the quay of the city’s harbour. A new speedboat will bring you, hair flying loose, to McLeod Island in a couple of hours. On the way, you will see some amazing colourful boats with long lamplights used for calamari fishing by night. You can also visit a pearl oyster farm. The magic starts when the boat reduces its speed and approaches McLeod Island. The splendid horseshoe-shaped bay of the island offers an almost troublesome symmetry. Where is the expected resort? Hidden in the lush jungle falling down to the beach, it remains almost invisible until arrival. The feeling that you are Robinson Crusoe setting foot in a tropical paradise gets even stronger as the basic bamboo dock is pulled with a rope up to the pristine beach, where hundreds of hermit crabs run away in every direction. 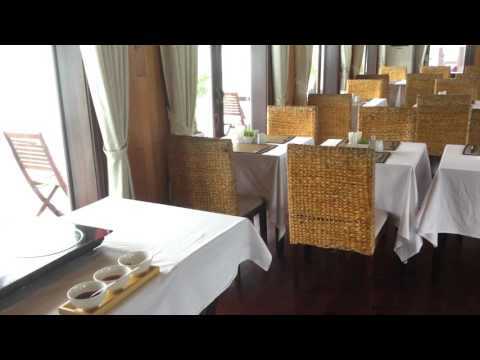 Opened in 2005, Myanmar Andaman Resort is the only man-made construction on the island. The presence of a natural source of fresh water was the most critical piece in the decision to establish a human presence there. This means that MacLeod Island’s whole territory, though wild, is virtually at the disposal of visitors. The “resort”, however, is more a sustainable eco-lodge than a luxury getaway. Don’t expect to find a night club, a gym centre or any hi-tech equipment there. Still, a good balance is reached between authenticity and comfort: 22 wooden eco-bungalows (eight 40-square-metre beachfront chalets and 14 26-square-metre cottages behind) are equipped with all that one needs on vacation on such an island. That is to say: not much. 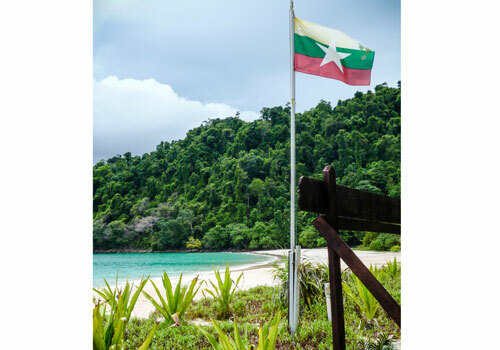 Since his arrival to McLeod Island two years ago, Adrian Zdrada, Myanmar Andaman Resort’s very talented and receptive 39-year-old sales and marketing director, has successfully saved the island from becoming a “second Phuket”.